There are some good small to medium-sized raw beetroots around at the moment. And baking them in the oven brings out all the sweetness and flavour. 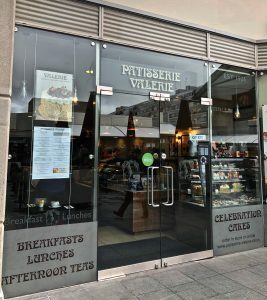 The only problem is that they take a fair amount of time to cook, so it’s good to cook something else in the oven at the same time. Anything meaty, or a simple macaroni cheese would be good. If you grow your own herbs (and oregano or marjoram are among the easiest), you may have a plentiful supply of oregano. Otherwise a packet of fresh thyme sprigs from the supermarket will also do. 1. Scrub and trim the beetroot. Cut in half lengthways any that are bigger than a golf ball. 2. 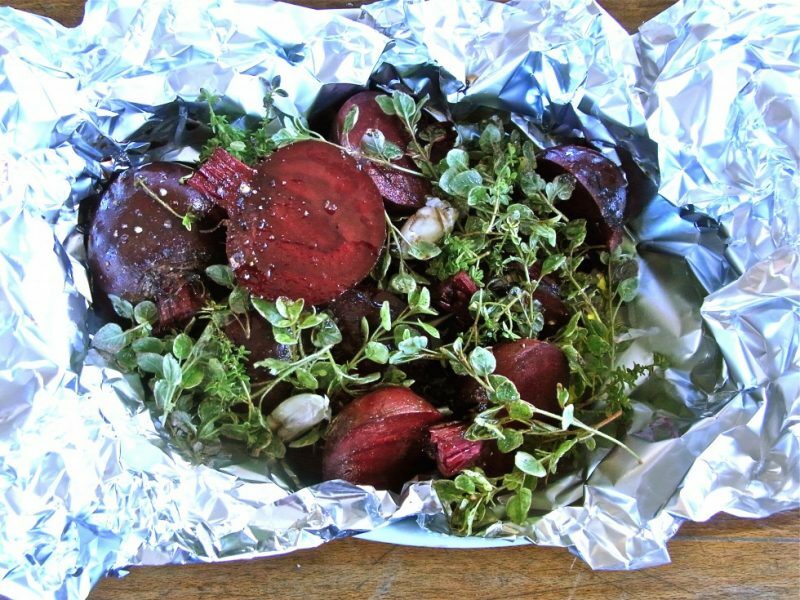 Line a shallow ovenproof dish with tinfoil, with plenty of extra to allow the beetroots to be completely sealed in a parcel. 3. Place the beetroots on the foil and strew the oregano among the pieces, with the garlic. 4. Sprinkle over the vinegar and oil, and season. 6. Cook 1.75-2 hours or until tender.